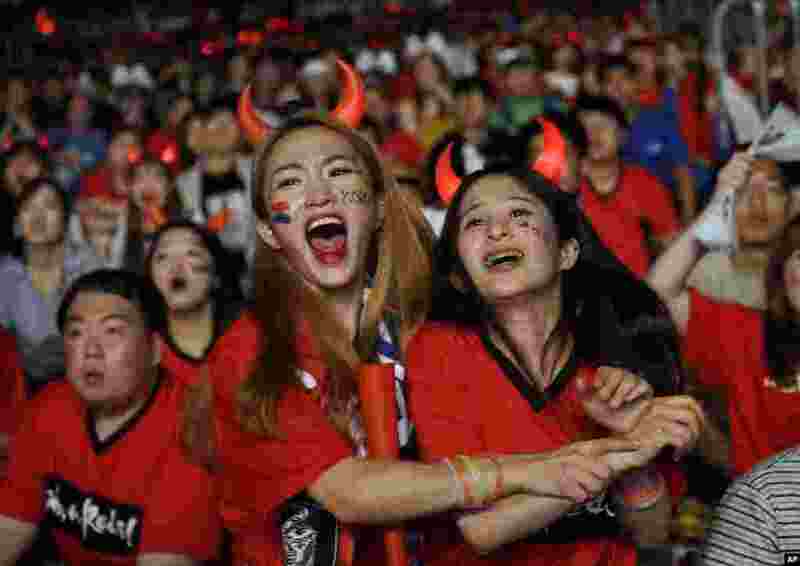 1 South Korean soccer fans celebrate as they watch the Group F World Cup soccer match between South Korea and Germany, at a public viewing venue in Seoul, South Korea. 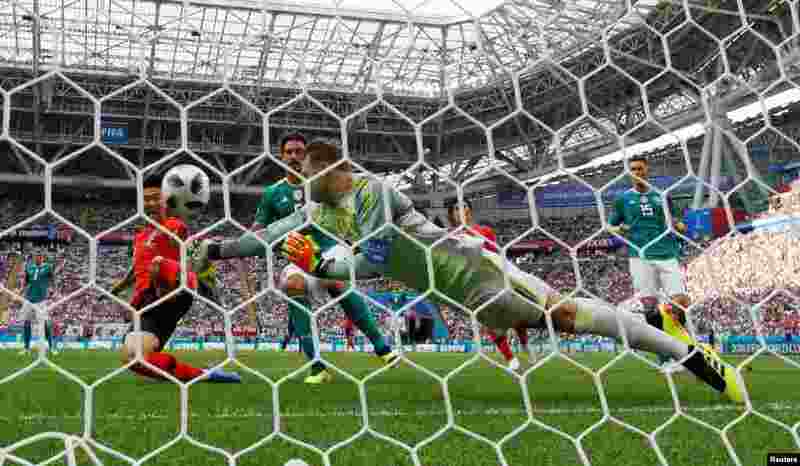 2 Germany's Manuel Neuer punches the ball away from South Korea's Son Heung-min during the Group F match between South Korea and Germany at the 2018 soccer World Cup in the Kazan Arena in Kazan, Russia. 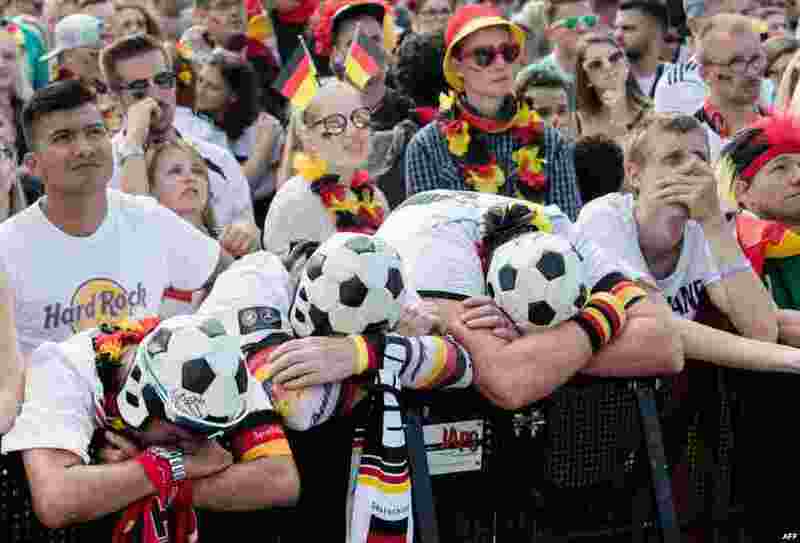 3 Supporters of the German national football team react as they attend a public viewing event at the Fanmeile in Berlin to watch the 2018 World Cup Group F football match between South Korea and Germany. 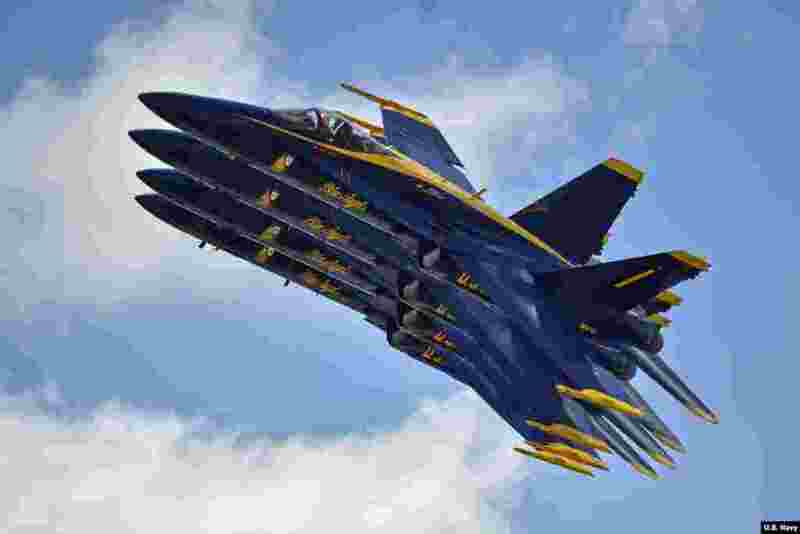 4 The U.S. Navy flight demonstration squadron, the Blue Angels, perform during the Vectren Dayton Air Show in Dayton, Ohio.